DotA 6.76c Map is revealed with some balances and fixes. This map is containing a small list of changelogs (Patch Notes) and they are mainly focused on the errors and instability which was detected in the previous version. So guys check out the new map yourself and have fun playing it. 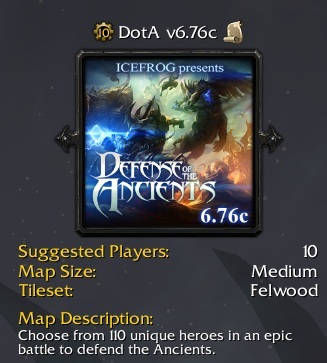 We hope that it will be the last map of DotA 6.76 series so Icefrog can concentrate on the next DotA 6.77 map. So have a blast playing DotA and keep coming here to check the latest updates of your favorite game online here.